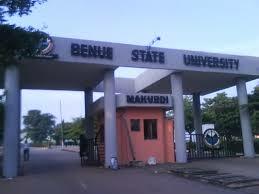 Benue State University, BSUM Freshers/Newly Admitted Students Acceptance Fee Payment and Uploading of Admission Documents for Online Screening Guidelines for 2018/2019 Academic Session. This is to inform all candidates who has successfully been admitted into the undergraduate degree programmes of the Benue State University for the 2018/2019 academic session that they can now proceed with the payment of acceptance fee and documents upload. iii. Select programme, Payment Category: Acceptance Letter, Type in Registration Number, Select session or semester as applicable. Enter your GSM Number and complete the transaction. Visit the quick-teller website www.quickteller.com/bsum to complete your transaction. Successfully screened candidates should revisit the Benue State University portal and print out admission letter and proceed to pay the appropriate user charges for the courses admitted. Candidates are to note that checking of admission status, acceptance of admission, uploading of documents for on-line screening, payment of school fees, and course registration on the University Portal shall take place between Thursday, 17th January – Friday, 15th February, 2019.